Investigate the earth’s surface with six interactive activities covered in this lesson, including, Landforms, Topographic Maps, Weathering & Erosion, Mechanical Weathering, Chemical Weathering, Cycle of Erosion & Deposition, and Soil. 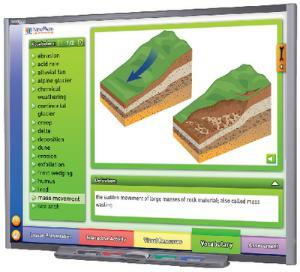 Also includes Virtual Lab Investigation: Effect of Chemical Weathering on Rocks. Recommended for grades 6-12. Meets national science standards and state standards for California, Florida, New York, and Texas.